Dry eyes cause significant discomfort and vision problems in 10-30% of all adults. When your dry eyes are severe, the condition can lead to serious eye infections. 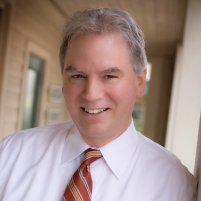 Dr. David O’Day at Charleston Cornea & Refractive Surgery is an expert in the diagnosis and treatment of dry eyes. At their dry eye center in Mount Pleasant, South Carolina, you can receive customized care that includes advanced technology such as radiofrequency treatment with ThermiEyes®. To schedule an appointment and obtain dry eye relief, call the office or use online booking. A thin film of tears spreads across your eyes every time you blink. The tear film lubricates your eyes, helps focus light, and flushes out dirt. Tears also contain proteins and nutrients that are essential for the health of your cornea and conjunctiva. About 15% of all dry eyes develop when the lacrimal glands don’t produce enough tears. Tears are made up of three layers that primarily contain oil, water, and mucus. The outer, oily layer prevents tears from evaporating too quickly. The middle watery layer carries nourishment, while the third (mucin) layer spreads the tear film across your eyes. Your tears must contain the right amount of each layer to keep your eyes healthy and lubricated. About 86% of all dry eyes arise from a blockage of the meibomian glands, which reduces the amount of oil and lets tears evaporate too quickly. What causes dry eye to develop? Medications: many medications cause dry eyes, including antihistamines, decongestants, and antihypertensives. Punctal plugs are placed into your tear ducts to partially or completely stop tears from draining out of your eyes. Your plugs may consist of a substance that’s gradually absorbed into your body, or they could be made of silicone, which is removed when your symptoms improve. Dr. O’Day may recommend these prescription eye drops that increase your body’s natural ability to produce tears. When your dry eyes are caused by blocked meibomian glands, the LipiFlow Thermal Pulsation System applies heat and gentle motion to eliminate oils obstructing the gland. This radiofrequency treatment gently heats the skin and tissues around your eyes, which improves the quality of your tears and eye comfort. Xiidra treats the signs and symptoms of dry eye disease, possibly by reducing inflammation. 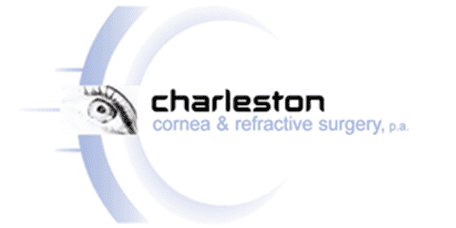 If you suffer from dry eyes, call Charleston Cornea & Refractive Surgery, or book an eye examination online.